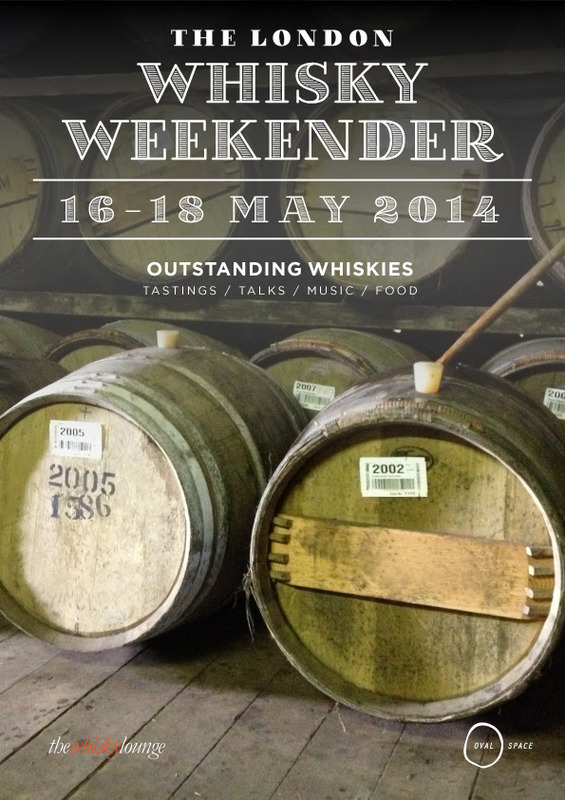 London Whisky Weekender is a contemporary celebration of exceptional whiskies from around the world. 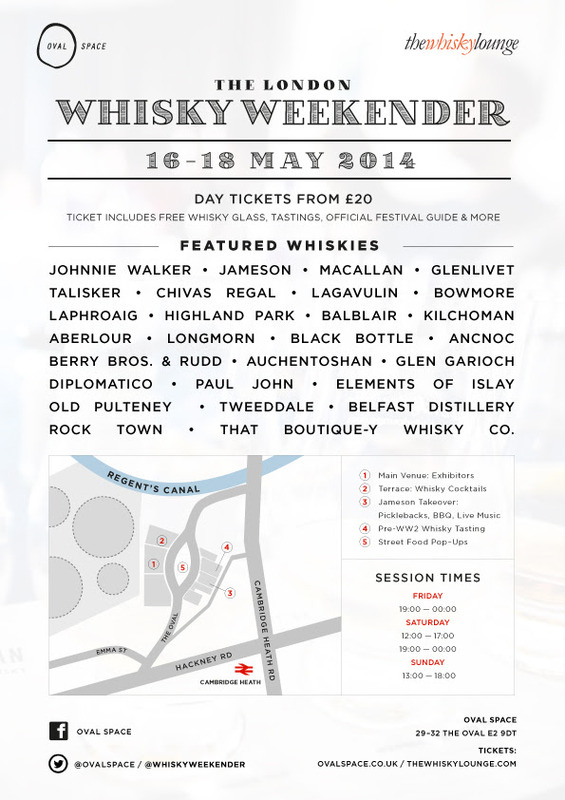 On 16th - 18th May, cutting edge East London venue Oval Space and esteemed whisky events company The Whisky Lounge join forces to bring the craft, innovation and heritage of whisky to the people of London in a three-day festival designed for seasoned whisky fans and newcomers alike. The festival boasts some of the best-known names in whisky, accompanied by a whole host of small, craft distillers from Scotland, Ireland, India, the USA to sample. From exclusive tastings of rare pre-World War Two whiskies on our rooftop overlooking one of the last remaining Blitz sites in London; an East End whisky cocktail bar curated by Molecular cocktail specialist Lounge Bohemia on Oval Space’s terrace; Jameson takeover of the neighbouring The Pickle Factory featuring pickleback shots, live music and BBQ through to street food pop-ups on the The Oval. There’s plenty going on to occupy connoisseurs as well as those making their first forays into whisky. • Under The Counter Drams Special whiskies at selected stands can be sampled in exchange for a token that can be bought separately. • Special workshops and classes for a more intimate and detailed look at selected distilleries and whiskies including tastings from the likes of Laphroaig and Talisker. For more information and tickets, click here. See you there!